Electric Fields Festival has moved site for 2019. The festival, previously held in the grounds of Drumlanrig Castle in Thornhill, Scotland, will now take place at Glasgow's SWG3. 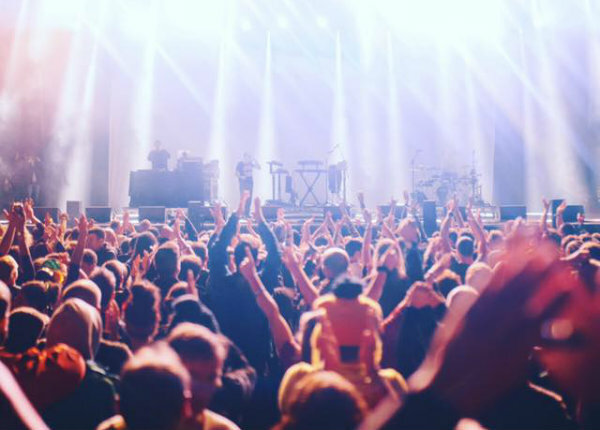 The three-day musical festival, now in its sixth year, will play host to headliners Metronomy, the Vaccines and Frank Turner, in addition to a diverse musical line up with some of the best electronic, pop and indie bands. Find out more here, and head below for the latest line up announcements. What? A three-day music festival hosting a diverse range of exciting bands in the popular Finnieston area of Glasgow. Where? SWG3 in Glasgow, Scotland. Who? 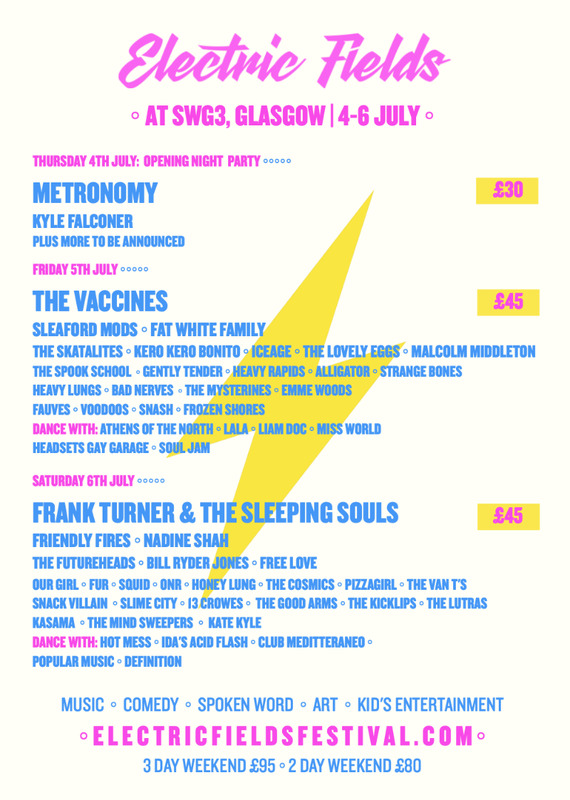 Metronomy, Frank Turner and the Sleeping Souls, and the Vaccines will headline the festival, with additional sets across the weekend from Friendly Fires, Sleaford Mods, Fat White Family, Nadine Shah, the Skatalites, the Futureheads, Kero Kero Bonito, Iceage, Malcolm Middleton, Free Love, the Spook School, Our Girl, Gently Tender, Heavy Lungs, ONR, Fur, Vistas, Honey Lung, Heavy Rapids and more. The independent Edinburgh venue Sneaky Pete’s will also host a stage with a handpicked line up consisting of Athens of the North, Hot Mess, Lala B2B Liam Doc, Ida’s Acid Flash and more. Check out the full line up to date below. Tickets? Three day weekend tickets are on sale now priced from £95.00 plus fees, while day tickets start at £30.00. Click here to get your Electric Fields tickets through Stereoboard. 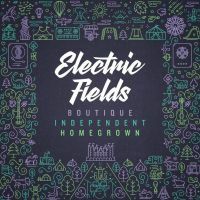 Click here to compare & buy Electric Fields Tickets at Stereoboard.com. Frightened Rabbit and the Jesus And Mary Chain are among the first wave of acts to be confirmed for this year's Electric Fields. Fat White Family and Field Music are among the new acts announced for Electric Fields. The Charlatans will join Primal Scream in headlining Electric Fields. ArcTanGent will return this summer. Cheap Trick have joined the bill for this year's Ramblin' Man Fair. Bloodstock festival have added six more acts to the 2019 line up. The complete Parklife line up has been revelead. The Staves have joined the bill for All Points East.